When it comes to preparing price quotations, language, specifically Incoterms, is one of the most important shipping tools of international trade. Importers and exporters must agree in advance on their respective roles and the terms, conditions, and definitions of the sale. A buyer and seller should know where a risk begins and ends, who is responsible for what, who owns what and at what geographical point. While there are a whole host of international terms in use, we'll focus on the most commonly used foreign trade terms provided by the International Chamber of Commerce's Incoterms rules. Whether you are an importer, exporter, broker, consultant, lawyer, banker, transporter, insurer or aspiring entrepreneur of international trade, you should familiarize yourself with Incoterms rules, which are considered essential to use in contracts for the sale of goods internationally. For example, here we discuss preparing a proforma invoice using one of the common terms, CNF, (see below) which means cost and freight - you are responsible for paying the freight costs and collecting from your customer later. All the terms highlighted below will affect the final numbers on your import or export quotation, as well as your financial responsibility for the shipment. The following is an excerpt from my book, "Start and Run a Profitable Exporting Business," but we have adjusted it to reflect both importing and exporting and updated Incoterms. CIF (cost, insurance, and freight): you (seller) are responsible for paying the freight and insurance costs in advance. You will collect these later when you invoice your customer. Normal practice is to ensure a shipment for 110% of its CIF value. Let's say you are ensuring a shipment to the Far East (Japan, Korea, Taiwan) at a rate of $.6175 per $100 (which includes war and all risk coverage). Here's how you arrive at the CIF total: Add the invoice value (cost), freight, and clearance/handling charges. Multiply this total by 110%, then divide by 100. Take the resulting figure and multiply it by $.6175. In this case, the result is your insurance charge of $90.34. Add this to your invoice, freight and handling total of $14,630 for a CIF total of $14,720.34. It's good to know how this is done, but you won't have to concern yourself with this calculation or actual issuance of the certificate if you use a freight forwarder. All you have to do is ask the logistics specialist to quote you insurance coverage at the 110% CIF rate. CNF/CFR (cost and freight): you are responsible for paying the freight costs and collecting from your customer later. In other words, the title of goods, risk and insurance cost pass to the buyer when delivered on board the ship by the seller. The seller pays the transportation cost to the port of destination. FAS (free alongside ship): you (seller) must make all arrangements to get the goods shipside, ready to be loaded, and pay all the costs to that point. Your customer (buyer) is responsible for the costs of loading the goods into transport vessels at the specified place. FOB (free on board): you (as a buyer) must take care of all paperwork and/or expenses necessary (including insurance) to collect the goods from the supplier (seller) and place them on an international carrier. EX (Ex Factory, Ex Door or Ex Dock): Terms beginning with "EX" indicate that the price quoted to your customer applies only at the specified point of origin (your or your supplier's factory or a dock at the import/export point). 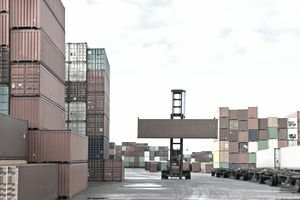 This term of shipment means that you agree to place the goods at the disposal of the customer at the specified place within a fixed period of time. Other trade terms: FCA Free Carrier, CPT Carriage Paid To, CIP Carriage and Insurance Paid To and DAT Delivered At Terminal -- all have different meanings. In order to accommodate the increasing use of electronic data interchange (EDI), Incoterms have been revised to reflect new shipping methods such as carrier paid to (CPT), carriage and insurance paid to (CIP), delivered at frontier (DAF), delivered ex ship (DES), delivered ex quay (duty paid) (DEQ), delivered duty unpaid (DDU) and delivered duty paid (DDP). Be sure to ask your logistics specialist or freight forwarder how each of these transactional terms affects the ultimate price of the shipment as well as the logistics of shipping, or contact the ICC for additional guidance. Remember that small changes in wording can have a big impact on your international sales contract and typically not always in a favorable way. So when you make price quotations, always reference the latest published version of Incoterms to eliminate any confusion or potential dispute in the future.